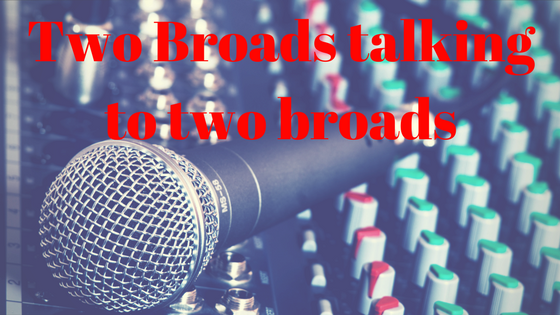 Welcome, “Two Broads Talking Politics” Listeners! 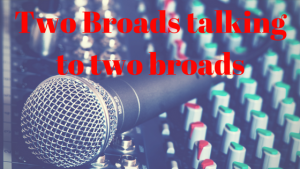 Joanna and I had the good fortune to talk with Kelly from Two Broads Talking Politics last night. (You can find the episode on iTunes here and on Stitcher here; it’s also available loads of other places.) It was a tremendous amount of fun to talk with someone else who took the grief and anger and confusion of the last year and felt the need to create something solid and real out of what could have been a toxic stew. Kelly asked us last night to challenge her listeners for something to do in the next week, and I challenged our readers to look at our Chapter Six, Take Your Passion and Make It Happen and choose something they’re passionate about (the fight for net neutrality, against global warming, against unfair immigration practices, for LGBTQ rights, and many more). But in the meantime, while you are waiting for your book to come in the mail, you can do one of my favorite actions, Action #16: Listen your way to a better understanding. In this, we suggest that you use your podcast-listening time to broaden your view of the world around us. Go here to Groundswell and pick an oral history to listen to. And don’t forget to comment below for your chance to win a free copy of our book! We will post a comment with the winner on the day after the Women’s March.